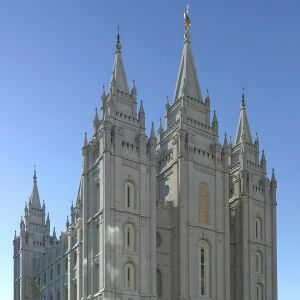 Mormons receive their nickname because of their belief that The Book of Mormon is a record of God’s dealings with the ancient inhabitants of the Americas, brought forth by the grace and power of God in our day as a second witness that Jesus is the Christ, the Savior and Redeemer of all mankind. 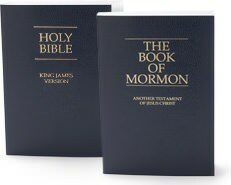 Mormons regard The Book of Mormon as the Word of God, a companion set of scripture to The Holy Bible. The Book of Mormon is a powerful witness of the sacred role of Jesus Christ as the Son of God, and the Atonement He provided on behalf of mankind. In the Bible, Jesus told His Apostles, “Other sheep I have, which are not of this fold: them also I must bring, and they shall hear my voice; and there shall be one fold, and one shepherd” ( John 10:16). The Book of Mormon reveals that soon after He was resurrected, the Lord visited these “other sheep”—the inhabitants of ancient America. While The Book of Mormon, like The Holy Bible, is an ancient record of scripture, its message is for the people of today. Mormon missionaries provide free copies of The Book of Mormon to individuals requesting to read this sacred record. Individuals are requested to read and ponder upon the writings in The Book of Mormon, and then to pray and ask their Heavenly Father whether The Book of Mormon is true. The book contains a promise to all who will sincerely pray with real intent in the name of Jesus Christ to know whether the book is true, that they may find their answer through the power of the Holy Ghost.